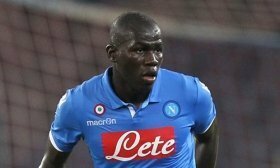 Manchester United will reportedly wait until the summer before making a fresh approach to sign Kalidou Koulibaly from Napoli. The 27-year-old was regarded as a prime target for the Red Devils earlier in December but they could not convince the Serie A side into a sale despite bidding a club-record sum. According to Evening Standard, United are convinced that they cannot pursue the Senegalese during the ongoing transfer window but they could lodge a fresh bid at the end of the season. United were desperate for a central defender under ex-boss Jose Mourinho but their transfer stance has changed in recent weeks with the club showing vast improvement with Ole Gunnar Solskjaer at the helm. The Red Devils have won each of the past eight matches under their interim manager and they have also bettered their performance at the back with three clean sheets to boost. United are unlikely to make any signing before this month's transfer deadline but there could be potential departures with Matteo Darmian and Antonio Valencia possibly making way from the club.